We will leave it there, full reaction from all of the Premier League matches is available here. Another stunning goal. Nacer Chadli curls the ball into the back of the net from 30 yards. Tottenham are getting the three points. Alli hits the crossbar. That would have wrapped it up. "The finish speaks for itself. We have seen Thierry Henry score something similar. The technique and the way he executed that is superb." Viv: Absolutely fantastic world class goal from Dele Alli...surely worthy of the Ballon D'or on its own. Sensational, absolutely sensational from Dele Alli. There appears to be no danger when he picks up the ball 25 yards out. He takes a touch to set himself, flicks the ball back over his head and volley from 25 yards out into the bottom corner. Unbelievable. Palace hit the bar twice in a matter of seconds. 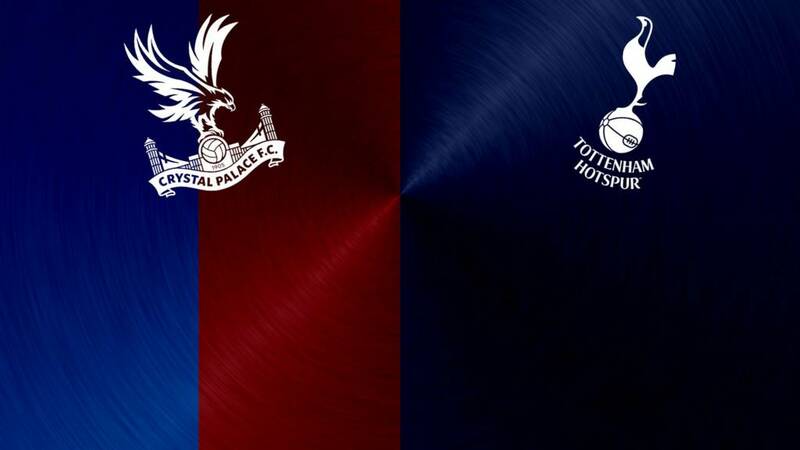 Jason Puncheon's floated free-kick finds Scott Dann, who headed against the underside of the crossbar, before the ball fell to substitute Mile Jedinak, whose shot on the turn also bounces off the underside of the bar. Spurs survive. But only just. Harry Kane has now scored 12 goals in his last 14 Premier League appearances for Tottenham. It has been a bad day for Jan Vertonghen. The Spurs defender scored an own goal earlier on and has now limped off with what looks a bad knee injury. Kevin Wimmer comes on to replace him for his first Premier League appearance. Jeff Winter: Harry Kane - again and again and again is the man for Spurs! What a save. Hugo Lloris keeps it level with a diving one-handed save to push away Wilfried Zaha's curling effort. Lloris then denies Pape Souare, before Damien Delaney, on the follow-up, can only shoot against last defender Toby Alderweireld. Not one for the scrapbook as Eriksen fails to beat the wall. Wasted. Free-kick for Tottenham, 25 yards out. Wilfried Zaha brings down Danny Rose. Danger for Palace. "Kane gets above the centre-half brilliantly and really climbs well to head it past Hennessey." It has been coming and it is fully deserved. Harry Kane with his 12th goal in 14 Premier League games. Danny Rose's first cross on the right wing was blocked, but the ball fell to substitute Nacer Chadli who dinked a ball into the box and Kane powered a header in from close-range. Another half-chance for Spurs. Christian Eriksen with a 30-yard free-kick and Hennessey does well to hold on to the ball, which bounced just in front of him.